Egypt, Late Dynastic Period, 26th to 31st Dynasty, ca. 664 to 332 BCE. 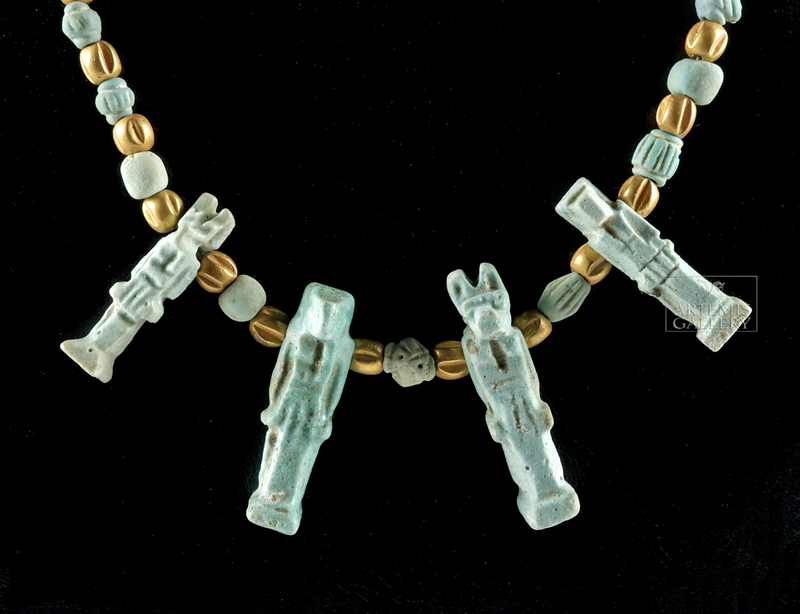 A gorgeous necklace displaying dozens of small beads and 4 figural amulets. 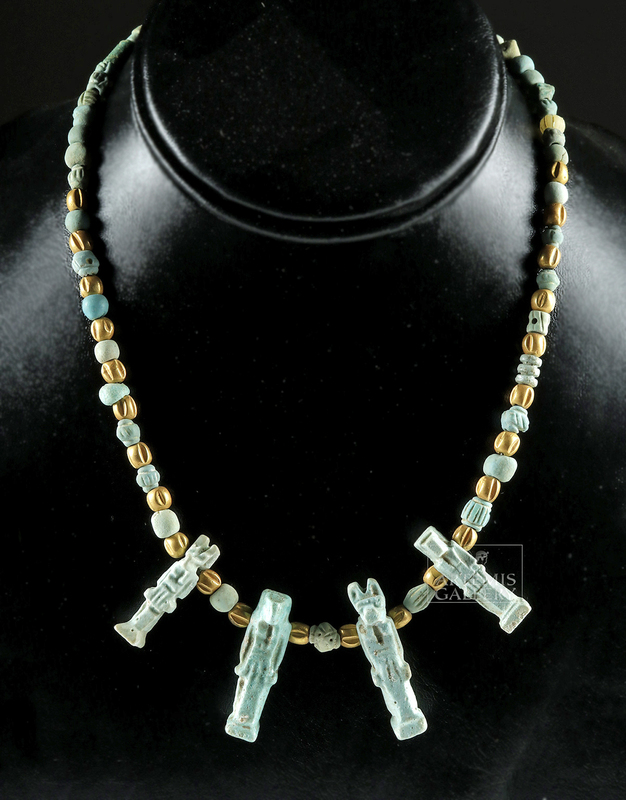 The necklace boasts 53 faience seed beads covered in varying hues of blue and blue-green glaze and 24 spherical beads with indented sides made from 60% gold (equivalent to 14K+ gold). 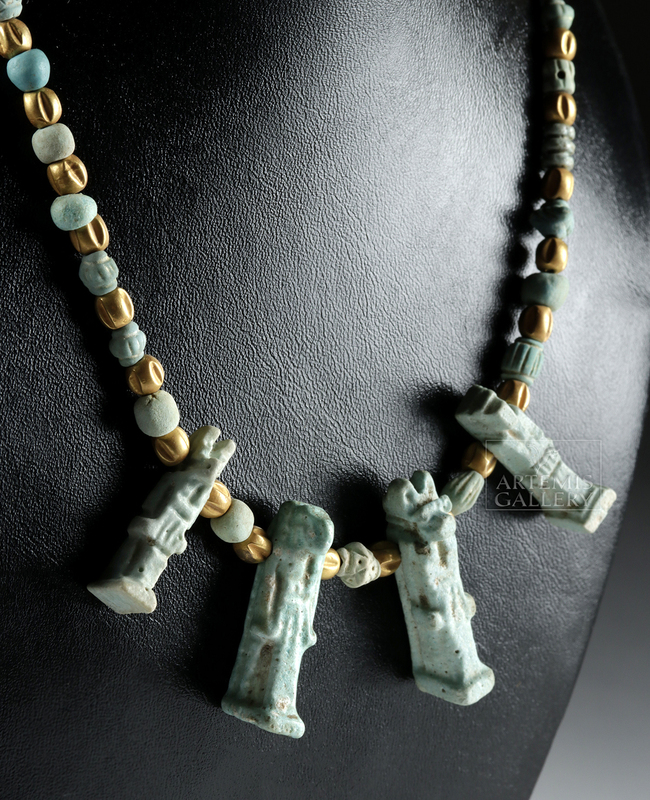 Four mold-formed faience amulets hang in the center of the necklace, with two of the sons of Horus on the exterior - the jackal Duamutef on the left and the hippopotamus Hapi on the right - as well as Horus and Anubis in the middle. Each of the terminals are capped with half of a barrel clasp and make this an attractive and wearable example of ancient artistry! Size (necklace): 16.5" L (41.9 cm); size of largest amulet (Anubis): 1.375" H (3.5 cm); quality of gold: 60% (equivalent to 14K+). Condition: Strung in modern times and wearable as shown. 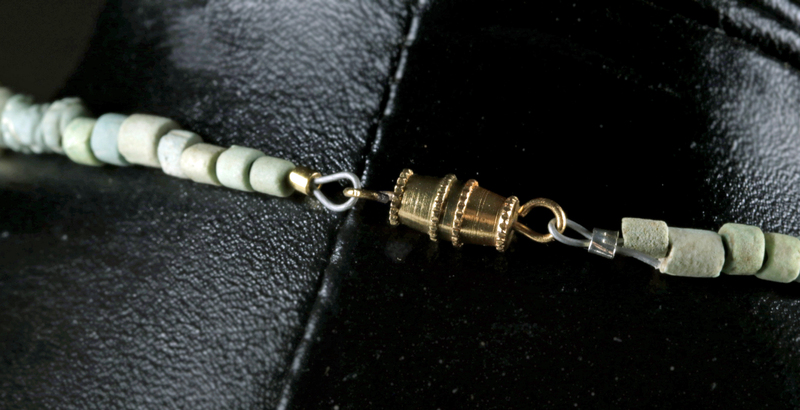 Faience beads/amulets and gold beads are ancient, and stringing and gold-filled components are modern. 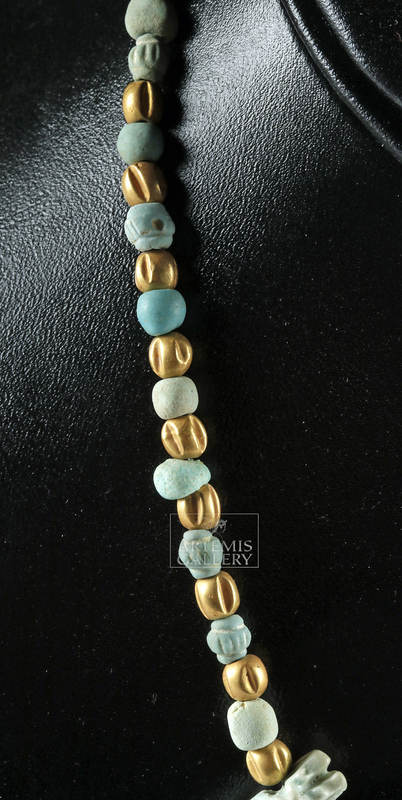 Minor nicks to some faience beads, with small indentations to some gold beads, and softening to some finer amulet features, otherwise intact and excellent. Light earthen deposits throughout, and nice patina to gold beads.